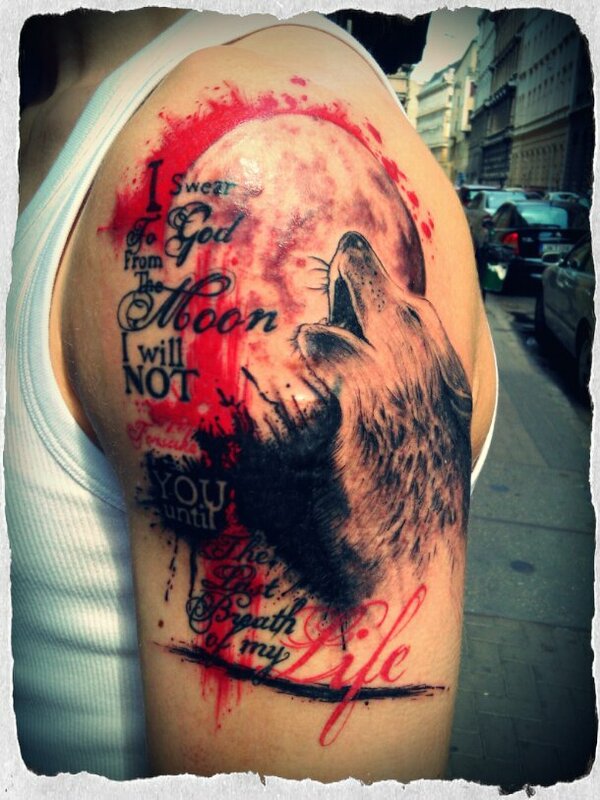 It’s a new school tiger tattoo designed for a Canadian guy. 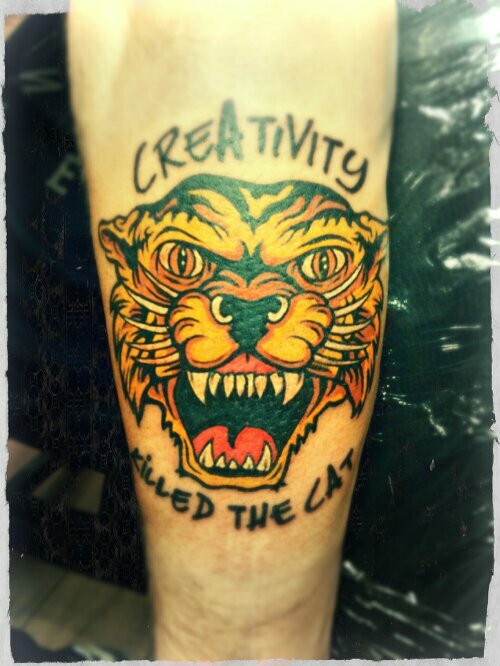 Made this on the side of a girl. 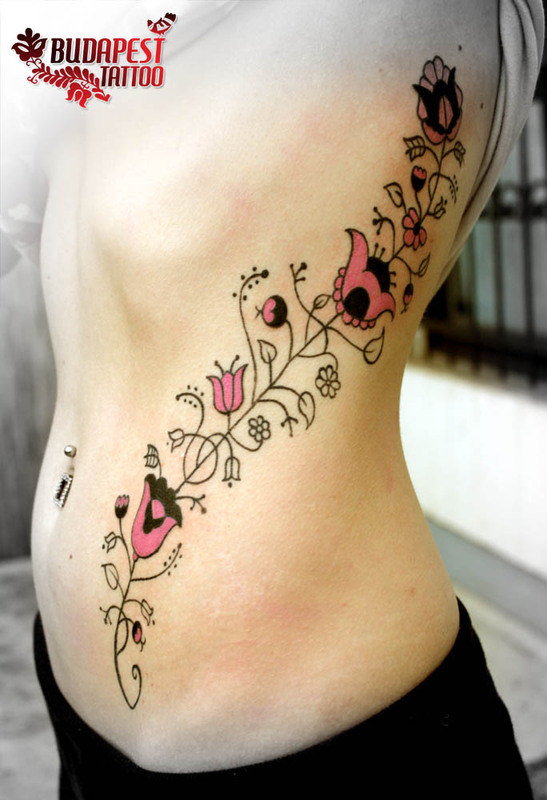 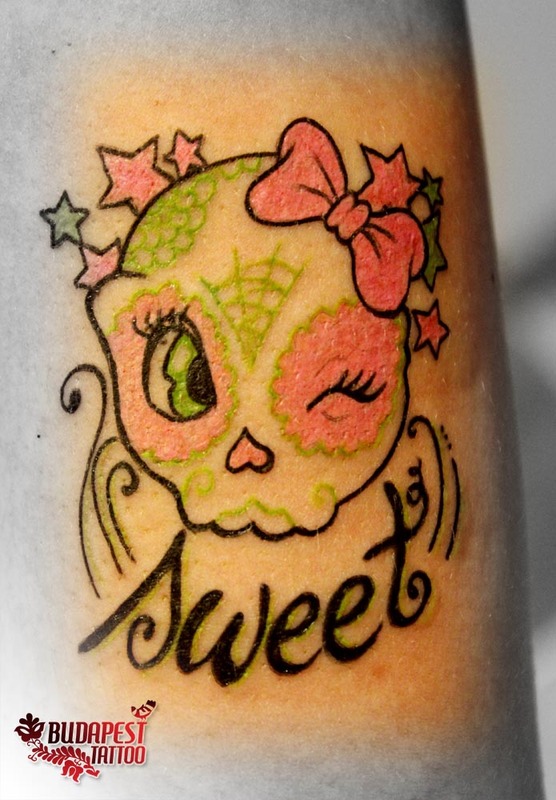 It’s a really small candy skull tattoo, in a very girly style. 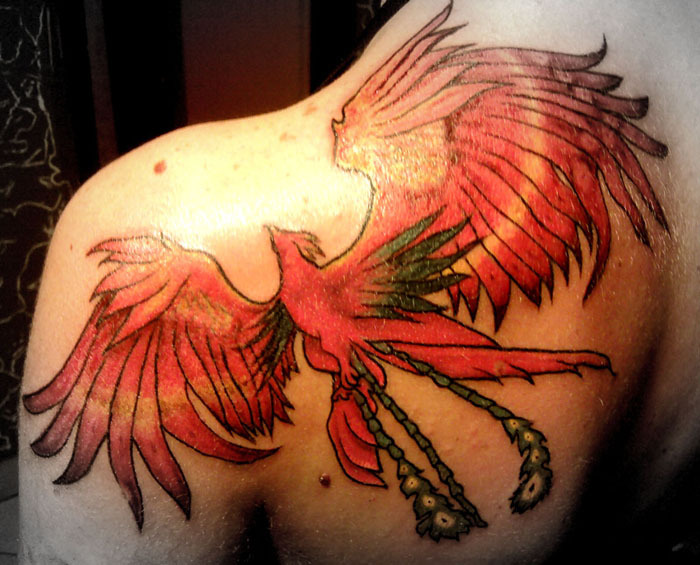 It’s a japanese style phoenix tattoo. 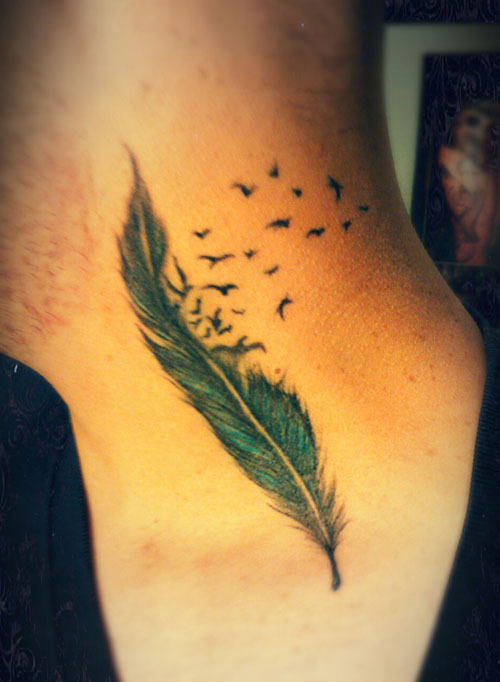 Feather tattoo on a neck. 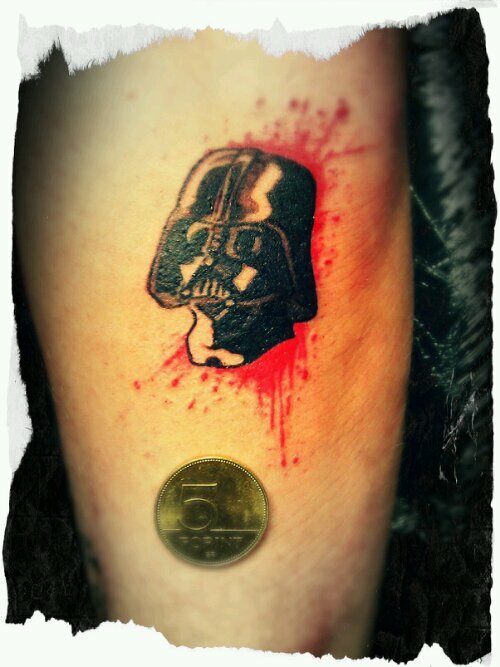 It’s a really small Darth Vader tattoo.